Like you, Joshua Karpinski is driving business process improvement and cultural transformation to meet evolving customer expectations. He is the Manager of Strategic Planning & Support within Revenue Cycle Management at National Grid US, one of the largest utilities in America. In his role he is responsible for managing and driving efficiencies within the Order to Cash process which serves over 7m customers. 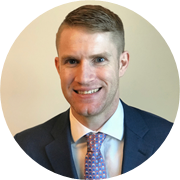 Josh has spent the past 9 years driving operational efficiencies and business results by understanding the Voice of the Customer and linking the customer journey to internal business processes to ensure a seamless cost effective experience. Joshua has a Master’s in Business Administration from Syracuse University and a Bachelor’s in Decision Science and Information Systems from the University of Kentucky. · Driving a cultural performance transformation: What have we done differently?